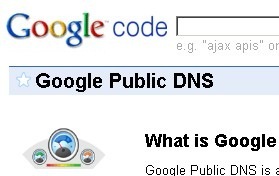 You are here: Home » What Google Public DNS Actually Means To You? ← Are You Ready For Holidays Tech Support Duty? Google has been in a mission to make the web faster than it is now. In that effort they have released Google Public DNS Service. You might have heard about it and probably wondering what the heck it is and if you should do anything about it. I am going to try to help you with that. When you type in ShanKrila.com in your browser, DNS is what translates that name to an IP address of the server that hosts the website and lets you see the web pages. You can get the full lowdown on Domain Name System here. Google has just lauched a Google Public DNS Service in an effort to make the web faster. Google has placed a large set of DNS servers around the world that can be accesses with an easy to remember IP address of 8.8.8.8. The average Internet user ends up performing hundreds of DNS lookups each day, and some complex pages require multiple DNS lookups before they start loading. This can slow down the browsing experience. Our research has shown that speed matters to Internet users, so over the past several months our engineers have been working to make improvements to our public DNS resolver to make users’ web-surfing experiences faster, safer and more reliable. You can read about the specific technical improvements we’ve made in our product documentation and get installation instructions from our product website. In theory, you point your DNS entries in your computer to Google Public DNS and you see faster browsing experience. If you want to learn more, here is where they go into a large detail about performance improvements with Google DNS. How do I setup Google DNS? Here is a step-by-step guide on how to setup Google Public DNS on your computer. The most popular free DNS solution so far has been the OpenDNS project. It is free and efficient and has a lot of nice features. If it’s how are they making money, you may wonder. Whenever you can’t find a website, instead of showing site not found error, they show you a page with ads and they make money off of that. OpenDNS has a few advantages over Google Public DNS. It has been time tested where Google DNS is more like experimental right now. OpenDNS also gives you a way to manage your DNS configuration. For eg. you could use it at work to prevent access to certain sites (getting around blocked sites is the most popular post here, go figure) or you could use it at home to protect your kids from seeing sites you don’t want them to. You don’t get that with Google Public DNS. You can find out more about OpenDNS here. What OpenDNS Thinks of Google DNS? 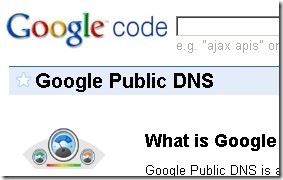 The founder of OpenDNS, David Ulevitch, has commented on the new Google Public DNS launch. As a technology enthusiast, i have switched to Google DNS in my home computer and will be testing it out. Plus, I use Google web apps a lot and hope to see faster load times for those pages atleast. But, I definitely like the better control and flexibility you get with OpenDNS. How about you? Hopefully this article helps you in making an informed decision.